The SE-DIR800C offers passive noise cancellation; you can listen to movies, games and music in surround sound or ordinary stereo mode without bothering the rest of the neighborhood. The wireless headphones use standard AA nickel-hydride cells, which are easily rechargeable with the accompanying base station. 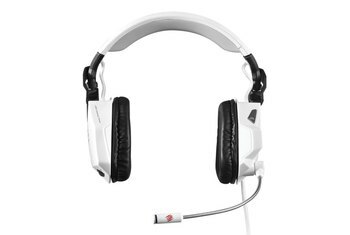 The base station contains an output jack for wired headphones. Pricing is on the hefty side. 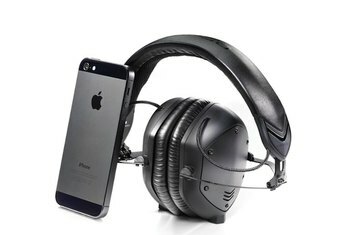 These wireless cans use infrared technology, allowing an advertised range of only 30 feet. The IR wireless imposes line-of-sight limitations, so the system can be operated in only a single room of the house. 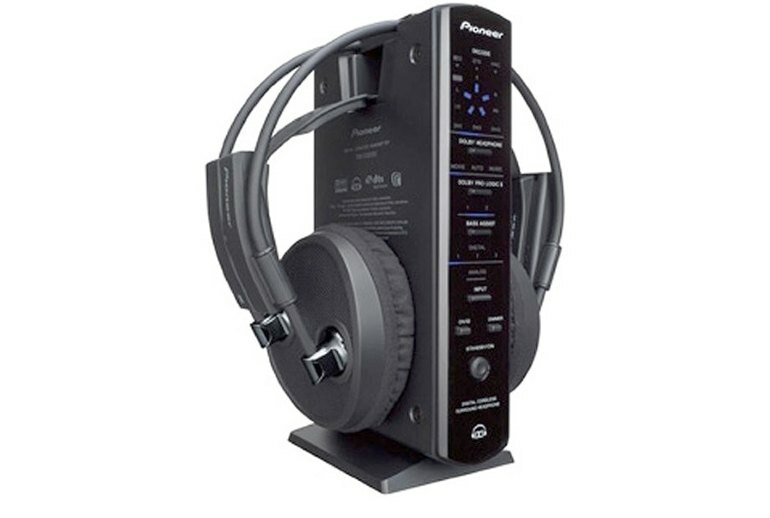 The Pioneer SE-DIR800C delivers a versatile sound solution for home theater or gaming use. 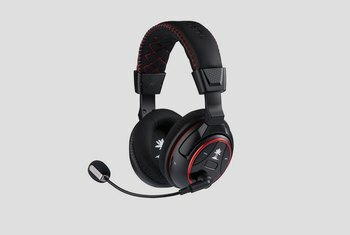 Consisting of a pair of over-ear headphones and a base station, the infrared wireless system works with a variety of audio sources, including TVs, DVDs, PCs, and game machines such as the 360, Xbox, PS2 and GameCube. When it comes to surround sound, the system supports not just the Dolby Digital and Dolby Pro Logic II decoding formats but also Dolby Headphone technology for simulating the acoustics of a small room, average-size room, or small movie theater. 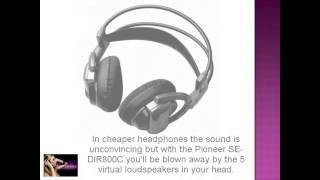 The Pioneer SE-DIR800C wireless headphones have an astounding feature set. From setting up the receiver to everyday use, this model is extremely easy to use. The actual, physical features are simple and uncomplicated. The transmitter/charger base houses the system's electronics, as well as the controls to select your surround decoding format of choice: Dolby Digital, DTS (for surround-encoded DVDs), or Dolby Pro Logic II (for a matrixed surround effect from stereo music or older movies). 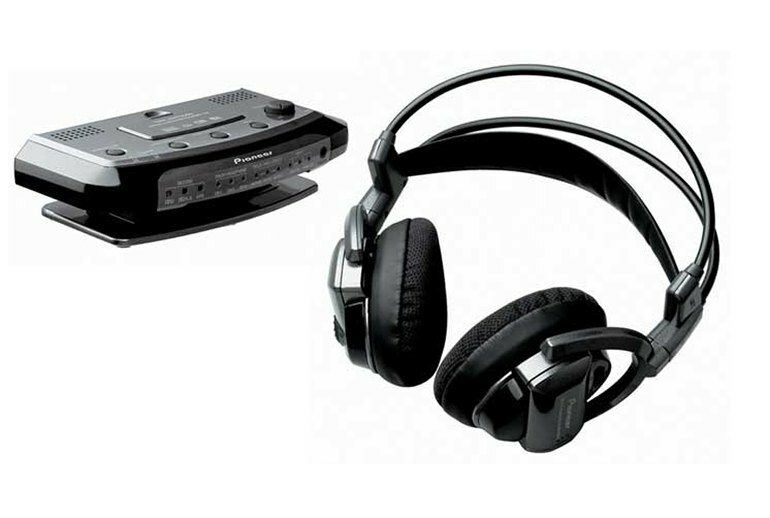 The DIR800Cs also offer a Dolby Headphone mode...Three inputs cover every connectivity contingency: RCA stereo analog inputs, plus optical and coaxial digital inputs to connect with your DVD player and A/V receiver. What this Pioneer system does, based entirely on the movie watching experience, is everything I needed. 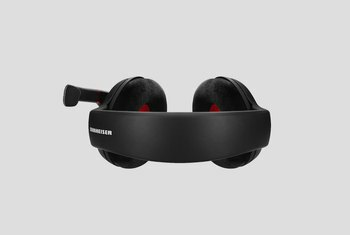 The simulation of surround sound is completely convincing...The headphones are well designed, lightweight and comfortable and do a great job of keeping out sound. 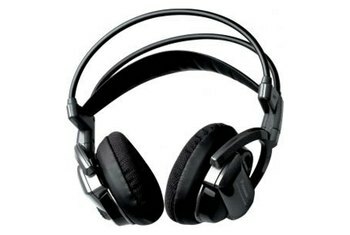 E-DIR800C comes with a hefty price tag of $399 (Pioneer Electronics Web site) but for that you are getting lightweight cordless headphones that carry two AA batteries in the back of one earpiece, has integrated Dolby Digital 5.1 sound, with an emitter unit that is compatible with Dolby headphones and Dolby Pro Logic II as well other multi-channel sources, can be used for DVDs, games (on the 360, Xbox, PS2 and GameCube), PCs, TVs and other video sources, and is extremely easy to connect...Plug in the power, connect the audio cables (the red and white cables, or coaxial cable) and turn it all on. These Pioneer ‘phones have Dolby Digital 5.1 Surround effects to make you think there are five speakers inside your head. Not as painful as you might imagine: It really does sound like there are five separate sound sources, and tripping out on that was enough to keep us engaged. Upon first getting the unit, I noticed bass response was better than the 1000s, but everything else seemed “closed in” and less detailed. Now, hours later, things are wide open, spacious and pinpoint accurate in the sound cue department. Plus, voices seem much more realistic with no sense of the “echo” some folks complain about with Dolby Headphone technology.